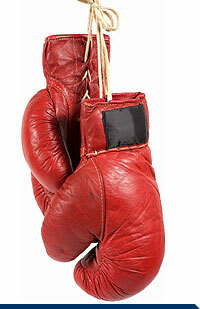 Women's boxing has been officiated as a sport since the beginning of the 20th century. However, during the 1970s, a female boxer named Cathy 'Cat' Davis came out of the United States Northwest and a few of her fights were televised. But scandals about her fights being fixed almost killed the idea of women's boxing as a sport. In the 1980s, women's boxing briefly resurfaced in California through the efforts of world boxing champion twin sisters Dora and Cora Webber. Women's boxing reached its popularity in the 1990's with the emergence of professional women's sports leagues like WNBA and WUSA. It was also during his period that the names Delia 'Chikita' Gonzalez, Laura Serrano, Christy Martin, Deirdre Gogarty, Laila Ali, Jackie Frazier-Lyde, Lucia Rijker, Ada Velez, Ivonne Caples, Bonnie Canino and Sumya Anani became world women's boxing champions.